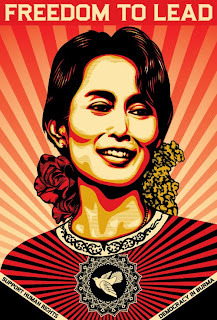 Aung San Suu Kyi is a Burmese opposition politician and General Secretary of the National League for Democracy. She is frequently called Daw Aung San Suu Kyi; Daw is not part of her name, but is an honorific similar to madam for older, revered women, literally meaning "aunt". She was born on 19 June 1945 in Rangoon. 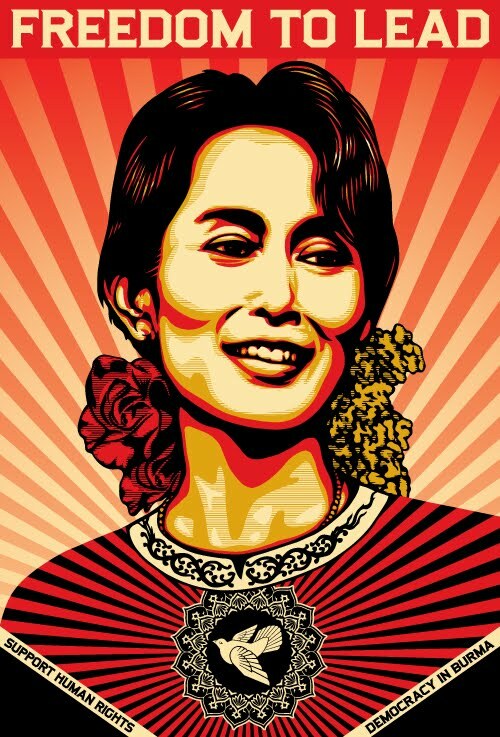 Her father, General Aung San, who is considered to be the father of modern-day Burma, founded the modern Burmese army and negotiated Burma's independence from the United Kingdom in 1947; he was assassinated by his rivals in the same year. She grew up with her mother, Khin Kyi, and two brothers, Aung San Lin and Aung San Oo in Rangoon. Then the family moved to a house by Inya Lake where she met people of very different backgrounds, political views and religions. Suu Kyi was educated in Methodist English High School (Now known as Basic Education High School No.1 Dagon) for much of her childhood in Burma where she was noted as having a talent for learning languages. She is a Theravada Buddhist. and Aung San Suu Kyi followed her there, graduating from Lady Shri Ram College with a degree in politics in New Delhi in 1964. 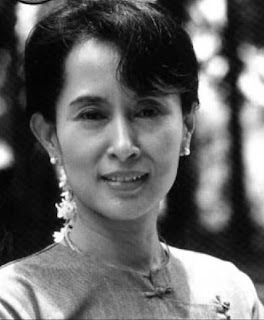 Suu Kyi continued her education at St Hugh's College, Oxford, obtaining a B.A. degree in Philosophy, Politics, and Economics in 1969. After graduating, she lived in New York City with a family friend and worked at the United Nations for three years, primarily on budget matters. In 1972, Aung San Suu Kyi married Dr. Michael Aris, a scholar of Tibetan culture, living abroad in Bhutan. The following year she gave birth to their first son, Alexander Aris, in London; their second son, Kim, was born in 1977. Following this, she earned a Ph.D. at the School of Oriental and African Studies, University of London in 1985. She was elected an Honorary Fellow in 1990. For two years she was a Fellow at the Indian Institute of Advanced Studies (IIAS) in Shimla, India. She also worked for the government of the Union of Burma. 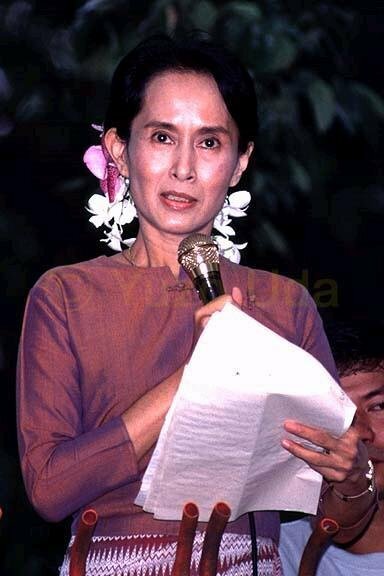 In 1988 Suu Kyi returned to Burma at first to tend for her ailing mother but later to lead the pro-democracy movement. 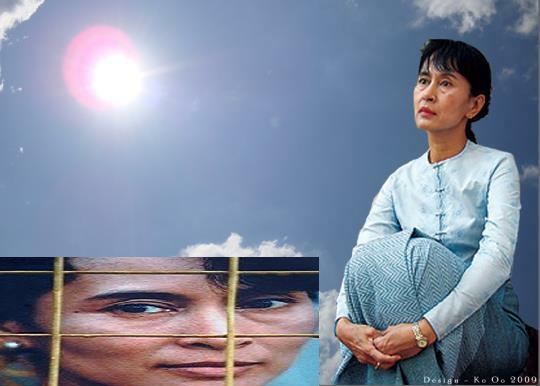 Suu Kyi remained in Burma and the Burmese dictatorship denied him any further entry visas. Aris was diagnosed with prostate cancer in 1997. Suu Kyi was unwilling to depart to meet Aris, fearing that she would be refused re-entry if she left, as she did not trust the junta's assurance that she could return. which the National League for Democracy won by an overwhelming 82% of the votes. Being the NLD's candidate, Aung San Suu Kyi under normal circumstances would have assumed the office of Prime Minister. Instead, the results were nullified, and the military refused to hand over power. This resulted in an international outcry. 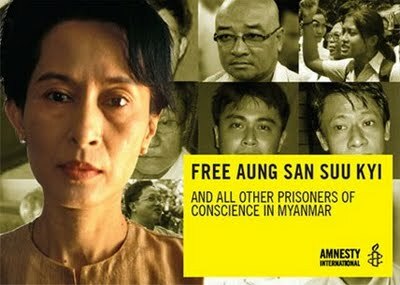 Aung San Suu Kyi was placed under house arrest at her home on University Avenue in Rangoon. During her arrest, she was awarded the Sakharov Prize for Freedom of Thought in 1990, and the Nobel Peace Prize the year after. Her sons Alexander and Kim accepted the Nobel Peace Prize on her behalf. Aung San Suu Kyi used the Nobel Peace Prize's 1.3 million USD prize money to establish a health and education trust for the Burmese people.